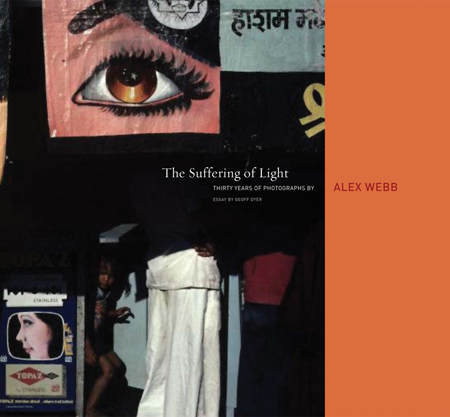 The Suffering of Light by Alex Webb is a stunning collection of photographs taken over the last thirty years of the photographer’s career. Teetering between documentary, street and fine art photography, the images in this book display Webb’s unique vision of using vivid color, gestural movement and complex composition to share the intricate stories of his extensive travels. Webb — considered a groundbreaking photographer in his use of color — joined Magnum in 1976 and has since found himself capturing the complexities of daily life throughout the world, including remote regions in South America, Africa and the Caribbean. Lusciously printed and thoughtfully edited, this new monograph published by Aperture is an exquisite addition to Webb’s earlier titles. 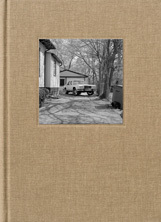 A limited number of signed copies are now in stock and available for order. Pontiac by Gerry Johansson is the photographer's documentation of Pontiac, Michigan, offering a meditation on the decline of the auto industry in the Great Lakes State. The images in this book are formally beautiful and depict a landscape that is often vacant and homogenized. The eerie sense of abandonment and seclusion that is apparent in many of these photographs is subtly drawn out by the photographer's approach of focusing on quiet neighborhoods, deserted parking lots and empty buildings. Beyond its depiction of Michigan, Pontiac is an intriguing commentary on the state of America as a whole and a sensitive portrait of small town life. Copies are in stock and available for order. Volume three of TBW Books Subscription Series. 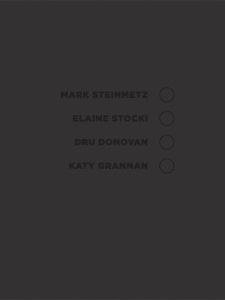 This new installment features the work of Mark Steinmetz, Dru Donovan, Katy Grannan and Elaine Stocki. 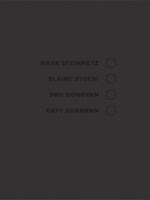 While not a direct collaboration between the artists, the series creates a cohesive dialogue between these four differing photographic perspectives focusing on loss and raising questions about interpersonal psychological dynamics. Steinmetz's Philip & Micheline is an intimate portrait of the end of life experience of the photographer's parents. Donovan’s Lifting Water investigates the psychological weight shared through the rituals of caregiving by both the caregiver and cared for. Katy Grannan's N showcases the photographer's long time partnership with her subject Nicole, highlighting the dynamics between the artist and subject. Stocki's Balcony raises many questions but provides the viewer with few answers about psychological limitations and human interaction. 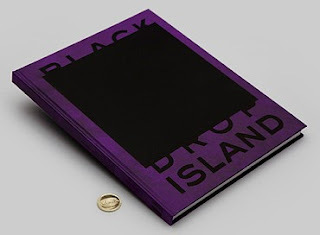 Copies of this highly sought after and beautifully constructed series are in stock and available for order. Blackdrop Island by Klara Källström is an attractively designed book compiled of photographs taken in Tokyo in 2008 and 2010. The title refers to Källström’s curiosity in photographing at night, allowing the darkness to create a black backdrop, isolating certain parts of the image and leaving the viewer with only a small glimpse of the whole scene. The images — printed on doubled-folded sheets — create a fragmented depiction of a city usually associated with an unnerving intensity from overcrowded streets and tight living conditions. Here, however, Källström has isolated a mere fraction of the city nightlife, allowing the viewer to contemplate a scene that would otherwise go unnoticed. Signed copies are arriving soon and are available for preorder. 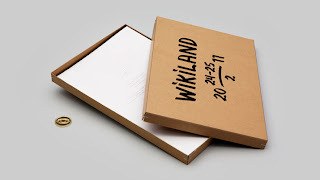 Wikiland by Klara Källström and Thobias Fäldt displays a series of images taken outside of the Belmarsh court in London and at the Ellingham Hal in Norfolk, England during Julian Assange’s high-profile legal case. The photographs here navigate between obvious references to the Assange trial and depictions of a banal world that seem far from the media frenzy surrounding the WikiLeaks organization and their leader. This interesting new publication is printed on newsprint and encased in a cardboard box. Copies are arriving soon and available for preorder. 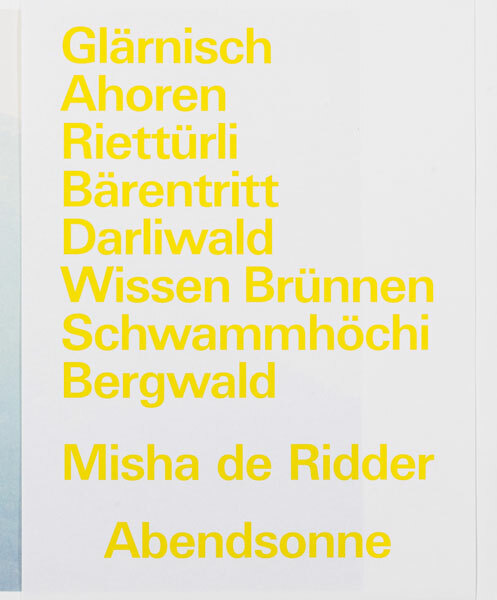 Abendsonne by Misha de Ridder is an intriguing book. Printed large-scale on a thick stockboard, the images demand individual attention. The physicality of this oversized book combined with the weight of the stock and integration of a seamless gutter, creates a viewing experience that overtakes the visual senses, making it easy to lose oneself in the impressive subtlety of de Ridder’s photographs. 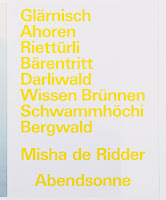 Only eight images are present in this monograph, each a representation of the surreal natural phenomena, known as Abendsonne, that presents itself during the last few hours of sunlight when shadows and pristine reflections alter the landscape’s appearance and aesthetic reality. Signed copies are arriving soon and are available for preorder. 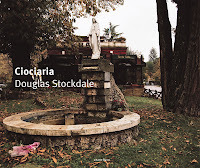 Ciociaria by Douglas Stockdale is a personal realization of a land and culture previously unknown to the photographer. Ciociaria — a loosely defined region in central Italy — is the subject of Stockdale’s new monograph published by Punctum and displays the photographer’s natural ability to create a series of images that reflects his own interpretation of an unfamiliar land. The photographs in this book navigate between urban and natural landscapes and depict an honest dialogue between an outsider and a seemingly close-knit world. Beautifully printed, the photographs here are an inspiring investigation into a personal journey that has manifested itself as a series of reflective discovery. Signed copies are arriving soon and are available for preorder. Sumo by Craig McDean is an intimate view into the world of Sumo wrestling. While living in Japan in 1993, McDean found his way into the private realm of this highly popular sport, befriending many of the wrestlers and creating a series of photographs that are a graceful depiction from an insider’s perspective. The abstracted movement caught by the photographer’s camera has added a surreal and magical element that captures the art of Sumo as a spiritual ritual and harmonious exercise. Copies are arriving soon and available for preorder. In Search of Dominguez & Escalante by Greg Mac Gregor and Siegfried Halus is an account of the photographers’ journey retracing the 1776 expedition from Santa Fe to Monterey, California by Franciscan friars Francisco Atansio Dominquez and Silvestre Velez de Escalante. Venturing into uncharted territories, Dominguez and Escalante trekked through a land predominantly unseen by European eyes, encountering native peoples and describing the frontier lands of the Colorado Plateau. Mac Gregor and Halus undertook the task of retracing the friars’ steps and documenting their own site-specific expedition, largely using Escalante’s journal as a guide. The images in this book give an insight into the importance and magnitude of the original expedition, while also giving commentary on the experience Mac Gregor and Halus captured through their lens and writings. Copies are now in stock and are available for order. * originally published in photo-eye's New Arrivals Newsletter. Text by Antone Dolezal.